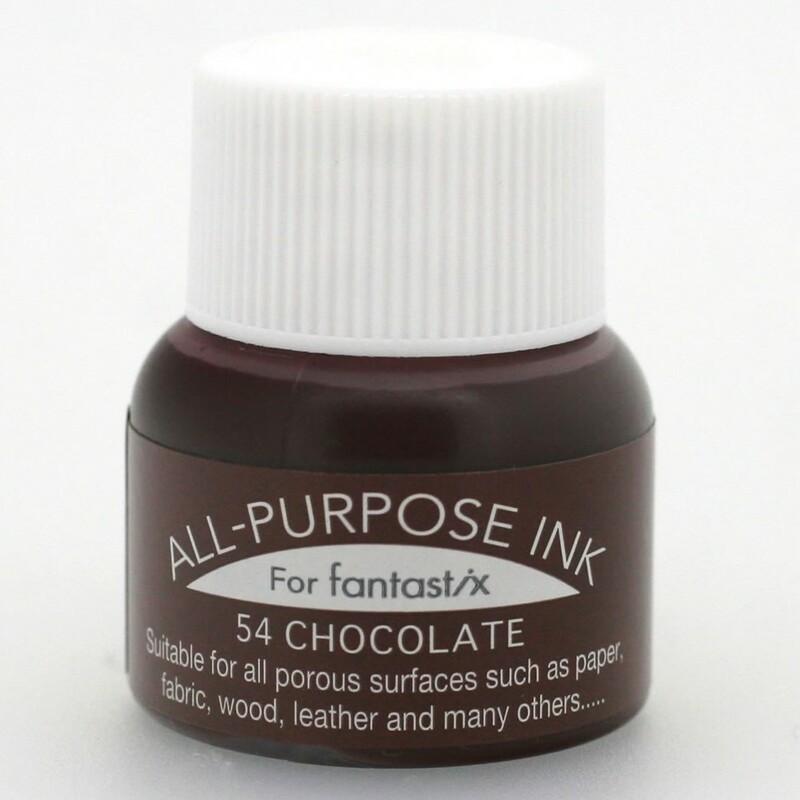 All-Purpose Inks are washable, permanent and blendable craft inks, suitable for fabric, wood, leather, porcelain, bisque and other natural porous surfaces. Known by its many devotees simply as API, these inks have the extraordinary characteristic of maintaining the soft hand of fabric while adding beautiful colors to your project. 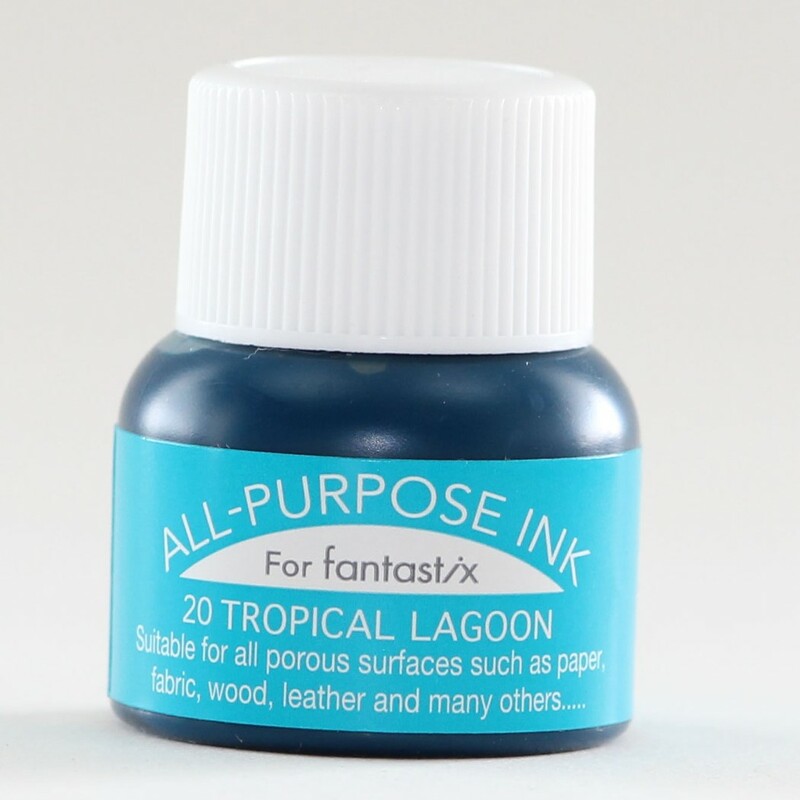 All-Purpose Inks are a concentrated pigment ink that is water-based and odorless. 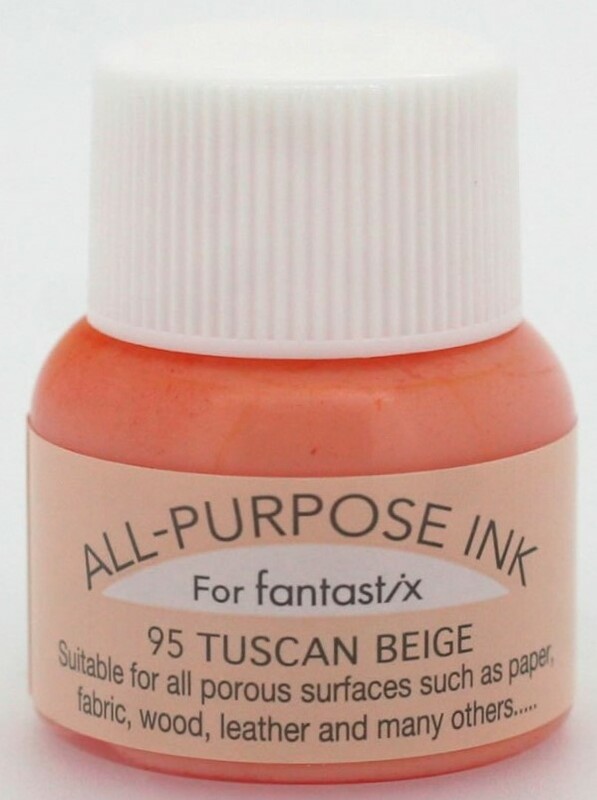 These inks won't leave a rubbery or “painted” feel on your fabric projects once they're finished. 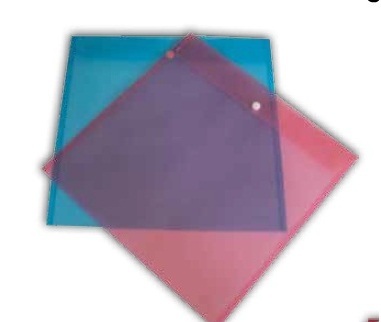 Metallic colors (Platinum shown above) are opaque on even dark colors to reveal the richness in their colours. All-Purpose Inks are permanent on natural fabrics when heat set with an iron (at temperature appropriate for ironing that fabric). and easily blended. Mix colors to create your own unique hues.